The search for an investor should start with a careful analysis of the venture capital market. When you find a fund that might be interested in your startup, you should give them all information about the microsegment, the market, the client and the team. Works as an associate in Data Ventures fund. 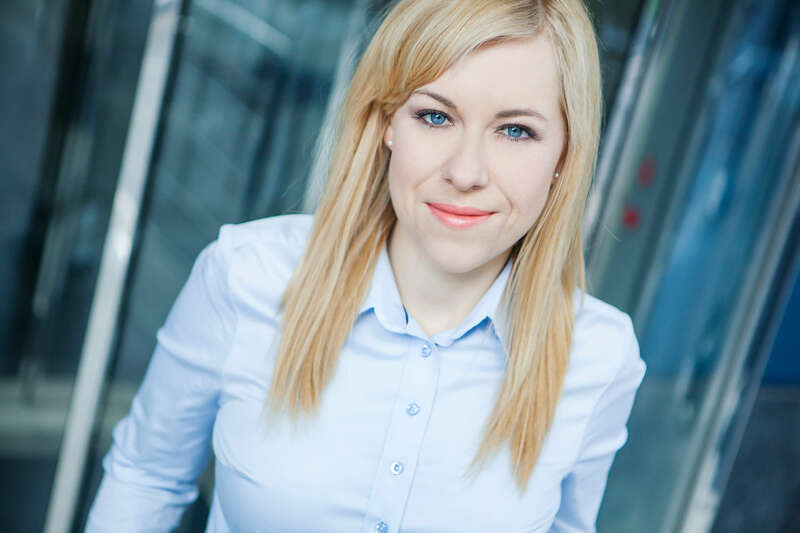 She wrote her doctoral thesis on the role of venture capital funds in the Polish startup ecosystem. Her research included over 50 in-depth interviews with VC funds, startups and business related institutions connected to the startup ecosystem. You can read this article in Grow with Tech magazine. VC funds, also called business angels, invest in very specific projects that conform to their previously established investment policy. So before you send an application, check if the given investor is interested in your idea. The specialisation of a given venture capital fund can be found on its website, either described or implied by analysing the companies it has invested already in. This investment policy specifies, among others: the development phase, sectors, technologies or type of business, B2C or B2B. At Data Ventures, we assess all applications sent in by startups, but only those projects that are consistent with our investment policy are invited for further talks. In addition, funds that use public means also have investment criteria imposed by the institutions that grant them, such as the National Centre for Research and Development, or soon, the Polish Development Fund. If you find a venture capital that invests in similar projects, check if it is able to invest. In the case of the Bridge Alfa program, funds must invest in Polish startups that develop R&D and most of the investment must be used for this. When you are able to get a meeting with a fund, remember to tell them about the key issues for your business. One of the most important of those is the client. When presenting your project talk about interviews with the potential clients that you have held and the conclusions you have drawn. If you have already sold a demo, present it. If you have a B2B solution, mention the pilots and the chances for the companies that participated in them to pay for the ready product or service. Crowdfunding campaigns are a good idea for testing a business concept in the B2C segment. With crowdfunding, you are able to get the first testers and proof that you were able to convince the first recipients of the solution. In your presentation, show the microsegment in which you want to operate. You can do this by presenting a single specific issue for your chosen group of clients. Carefully study the chosen recipients: how they are faring at the moment, what their costs are, what the desire to change might be and what their need to find a better solution is. Plan how you want to reach them: what media they are using, what events they attend, etc. Get to know your competitors in Poland and abroad. The microsegment is only the beginning, so show that you have a vision for scaling your idea and a plan of how to do this. Use a similar approach to the issue of improving the product or service. Representatives of venture capital funds often admit that they do not invest in the project itself, but in the team. So when presenting your startup, talk about the people who created it. Mention their experience in company building, as well as their experience in the sector you want to operate in. Talk about how many people are fully involved in the project. If you do not have the means to employ staff yet, then prepare concepts, showing who you want to employ, their competences and experience, as well as how much will you pay them. If you invested your own funds in this project, mention this also. Despite the fact that startups know how to verify their potential investor, they usually do not. Before you make a decision about the fund, ask other startups about their experiences with the fund in question. Ask the potential investor if it has contacts with the right persons and companies that can help in the development of your startup and ask about such issues as non-financial support after the investment and the issue of owner supervision.